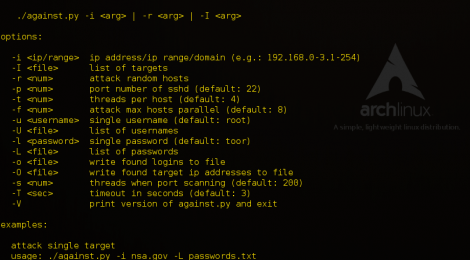 Browse: Home / against.py – mass scanning and brute-forcing script for ssh. 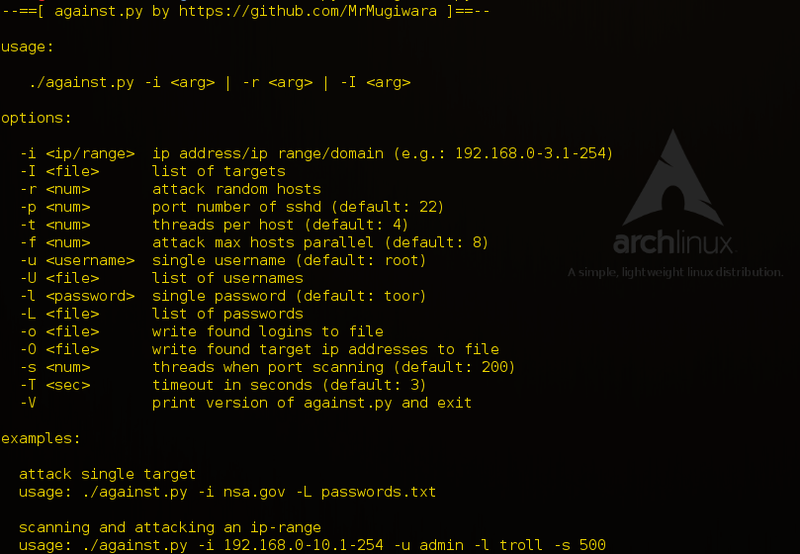 ‘against.py‘ is a very fast ssh attacking script which includes a multithreaded port scanning module (tcp connect) for discovering possible targets and a multithreaded brute-forcing module which attacks parallel all discovered hosts or given ip addresses from a list. ← Sonar is a reconnaissance tool for enumerating sub domains.